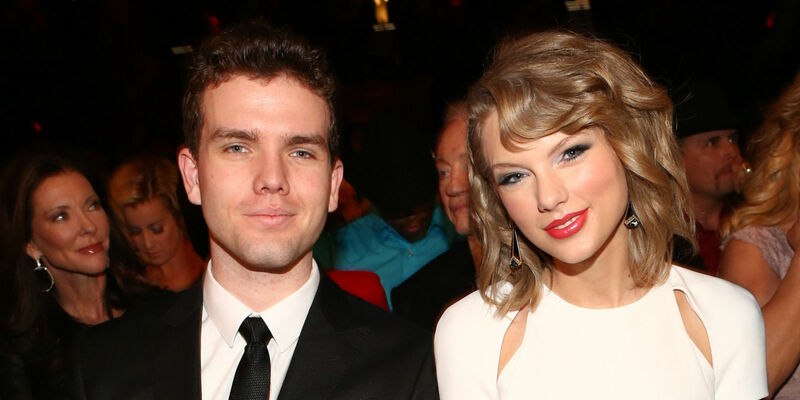 Austin Swift, Taylor Swift’s hot younger brother, has spent years in the background, accompanying her to award ceremonies, attending her Fourth of July Taymerica parties, and more. Now, the 25-year-old is doing the actor thing and quite illustriously: since graduating from University of Notre Dame in 2015 (Tay documented the ceremony), he’s appeared in I.T. alongside Pierce Brosnan and in Live By Night alongside Ben Affleck. And, as such, he’s got his first big profile and photo shoot—in Vanity Fair. There are a couple of swoony, Old Hollywood-esque photos, including two with a James Dean get-up. The outlet describes him as “gentle, brainy, measured in person,” “the sort of guy to offer you a copy of a play right out of his bad when you’re parting ways (‘I think you’ll like this one—I just read it.’)”. Welcome to Hollywood, Austin Swift. It’s been waiting for you.